Curious about love and marriage? Uncertain how to strengthen your relationship skills? Our hand-curated Love and Marriage podcast is full of talks from acclaimed speakers who want to help. 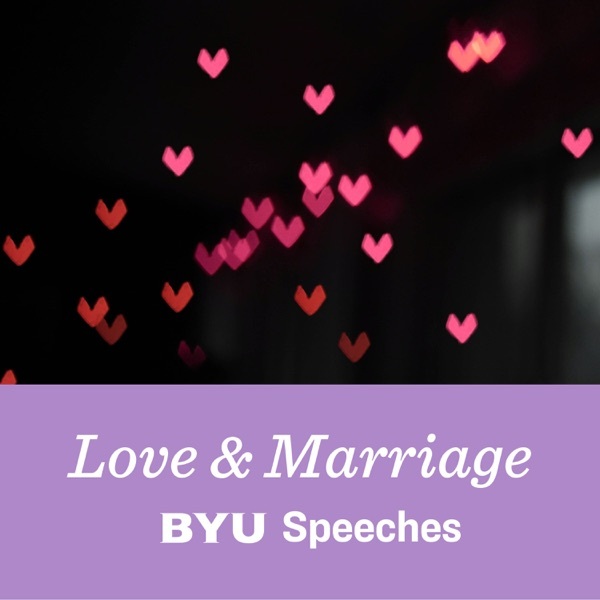 Every Friday, hear new advice from popular BYU guests as they share with you what they have learned about love. Jeffrey and Patricia Holland share the lessons they have learned in their marriage, with great counsel for students married or single. With a testimony of the eternal potential of our marriages, we are capable of loving with the spirit as well as a firm understanding of that love's purpose. The most important decision you can make in this life is choosing your eternal companion. Don’t settle for less than eternity. Why is marriage important? Elder Scott testifies of the blessings of marriage and temple covenants through interviewing and counseling with a young couple. As we embody a spirit of love, we will find increased happiness and joy in our individual lives. Love can strengthen our families, friendships, and more. Indescribable blessings come from eternal marriage. This speaker reminds young adults that temple marriage is an essential part of their journey to God. In a time where hooking up is more popular than dating, Dr. Chadwick gives vital advice on how to make and keep strong, righteous relationships. Celestial marriage is one of God's greatest blessings; however, it requires humility and diligence to prepare for and create a happy, eternal family. Marriage can be an intimidating decision, but we have been given all the information we need to find the right person, right time, and right place. The common Cartesian, egoistic theories in psychology fall short when describing the unselfish, gracious, and unexplainable phenomenon of love. Marriage is key for our exaltation, but successful marriages do not come without hard work. Elder Pinnock offers ten suggestions for happier marriages.